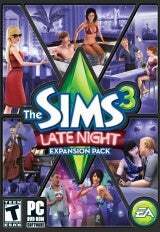 This expansion doesn’t radically alter the Sims gameplay you know and love, but it’s got enough quality content to keep you partying late into the night. Players will be able to take their Sims into the bustling urban setting where theyll be able to become a local celebrity, member of a music band, mixologist, director, and more. To gain entrance into the most elite clubs in town, players need to keep their attitude in check otherwise they\’ll be given the cold shoulder by tough bouncers or find another way onto the list. If chilling is the player\’s forte, their Sims can lounge at a chic club or dive bar or if they like to live on the edge, they can discover the secret of becoming a vampire. Whether embarking on a new career, painting the town red, or throwing a party on the rooftop of a penthouse, it\’s always up to the player to tell their unique stories with The Sims 3. What will happen when the lights go out and Sims get all access? Iâ€™m not sure if most players know about the new features and facts for The Sims 3 Late Night (Since the features were not written in the official website but in Twitter, sigh.) so am posting it here for the curious ones. Piano <â€“ Welcome back sweetheart. Talk and drink while sitting down. â€˜Teen Celebrityâ€™ part time job, available to children of celebrities. Breast slider for women. <â€“ No more mods needed I suppose. New muscle slider for both genders (can make ribbed abs) <â€“ Chocolate abs anyone? New sliders are passed down through genetics. New hairstyles. <â€“ Not looking forward since I only use custom ones. New facial hair (goatee and others). Bands can perform gigs. <â€“ Personally, I think K-On! will prosper with this expansion. Invite people to join band, kick them out and hold jam sessions. Acting auditions around the neighborhood. Itâ€™s free, but you can get mugged. Can be placed on residential lots as well, via buydebug. New art for some old Rabbit holes. New music genres. <â€“ I look forward to Simlish Gaga.. I think. Has thirst motive instead of hunger. Can die from thirst which gives a new ghost color. Plasmapacks are snacks and theyâ€™re colored red. Bloodfruit seeds can be bought at the grocer. Vampire children still go to school and must hurry when catching the bus. Slightly pale an â€˜unearthlyâ€™ skintone for vampires. Can be cured by a potion. Moving paintings up and down on walls. â€˜Downtownâ€™ is a new neighborhood. VIP sections have more celebrities, cooler people, better objects and activities, better drinksâ€¦overall higher quality. Apartments are big â€œShellsâ€ like the pyramids in WA, NOT apartments like in AL. You can add Downtown elements to existing neighborhoods. FX machine: snow, fire, glitter, bubbles. New vampire feed animations depending on relationship score. Name of the Downtown district not yet decided. You can form groups and romantic groups. Bouncers can be passed by bribing, sneaking in, hacking or by using your celebrity status. Late Night is rated T for Teen. Twinbrook was inspired by the gulf coastline, i.e. Louisiana, Georgia, Mississippi. The traffic light from the Late Night trailer is decorative. No new CAS skin colors. Make 15k in 30 Days!!!! As seen on Oprah and 20/20!!! FIRST, PRINT THIS OUT TO FOLLOW INSTRUCTIONS EASIER!
. TURN $6.00 INTO $15,000 IN ONLY 30 DAYS…HERE’S HOW! How to Turn $6.00 into $15,000 in 30 Days with PayPal. Now honestly,what is six Dollars, especially out of a Paypal account. $6.00 and 6 minutes to send it out. This program WORKS. Put in message boards or send as emails. In the “message” field type: “PLEASE PUT ME ON YOUR EMAIL LIST”. Finally, click on the “Continue” button to complete the payment. Repeat these steps for each of the 3 email addresses. that’s it! your name in the #3 position. Then save it. this at a unique board, the more money you will make. Keep a copy of this letter so you can use it a second time. Remember, play FAIRLY and HONESTLY and this will work. 5. This is perfectly legal! If you have any doubts, refer to 18 Sec. 1302 & 1241 of the Postal Lottery laws.